One crucial piece of the puzzle could be missing to ensure positive affirmations work for your child. It seems like everywhere we turn lately there are new positive affirmation cards, posters, images and games for kids. Well-intentioned parents are using them to support their children have a strong sense of self-worth, however I feel they are being misguided about how to use them effectively. Affirmations are positive statements we repeat to ourselves and are a tool to reprogram our subconscious mind. When we believe these affirmations magic can happen. I use them in my parenting toolkit and I love them. However they are just one piece of the puzzle, on their own they aren’t effective. In my work supporting sensitive and intuitive kids, I witness the missing piece around affirmations is that kids don’t believe the affirmations, therefore rendering them useless. These kids have powerful radars for feelings, both conscious and subconscious, of those around them. This allows them to feel the truth of what their parent, or teacher, feels about the affirmation, even if they don’t verbalise these feelings. Let’s say I give my daughter an affirmation ‘I am beautiful’. It’s for her to repeat for herself and to empower her self-worth. But…. The thing is my child can feel these emotions, almost as if I am speaking them out loud, and take them on as their own story. Think of it like you are a wi-fi network and they are on your network reviewing the data you are emitting (via your aura) without you even knowing it. This ability is something to be celebrated, as it’s pretty cool. However it often goes unnoticed. So when it comes to affirmations, make sure you choose carefully, and ensure it’s something you believe in yourself. For those affirmations you don’t personally believe, or you have a negative belief around, e.g. your beauty or how lovable you are, I invite you to go deep within yourself and resolve this pain. It is simply a story you have picked up and have on repeat and it is not your truth and it certainly isn’t a belief you would like to pass onto your child. This is where investing in your self-care as a parent reaps rewards and transforms self-worth for both you and your child. Print the affirmation or make a game of it – colouring-in, is a great way to do this. If you would like to go deep into the emotions and energies your child is currently picking up, from you and others around them, I would love to support you with this in a private Mum-to-Mum intuitive session where I use my skills as a ‘Human Feelings Detective’ to go deep into the emotions in your family to help you stay and track and empower your child to thrive. 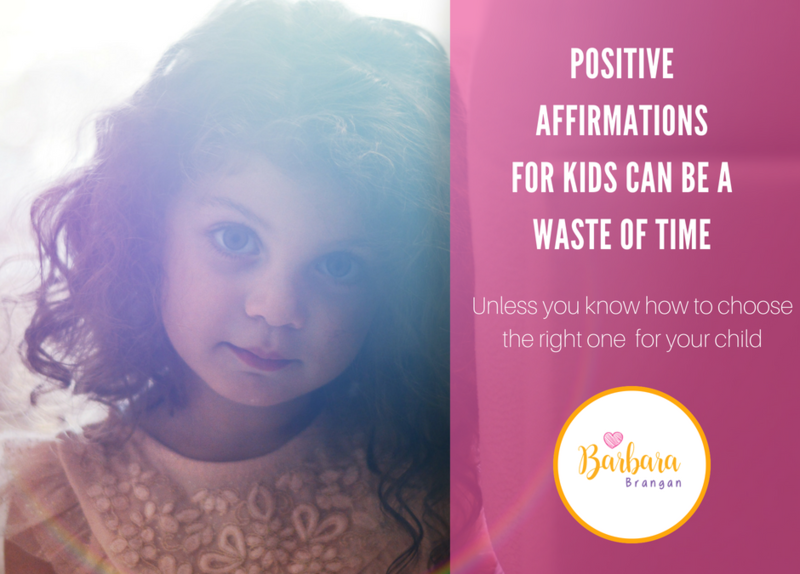 Barbara is super passionate about helping Mums to recognise the innate ‘human feelings detective’ abilities kids have and empowers them to guide their child to feel proud of their gift. When these gifts are celebrated your child can thrive. She can support you to get to the root cause of challenges you are facing with your child, either at home, school or in their friendships.